Wayne Rooney‘s controversial return to the England team is detailed in a 40-page FA communications document that is at the centre of the confusion surrounding his appearance against the USA next week. The situation has descended into farce amid claim and counter-claim about exactly how prominent a role the former England captain would play in the friendly at Wembley a week tomorrow. 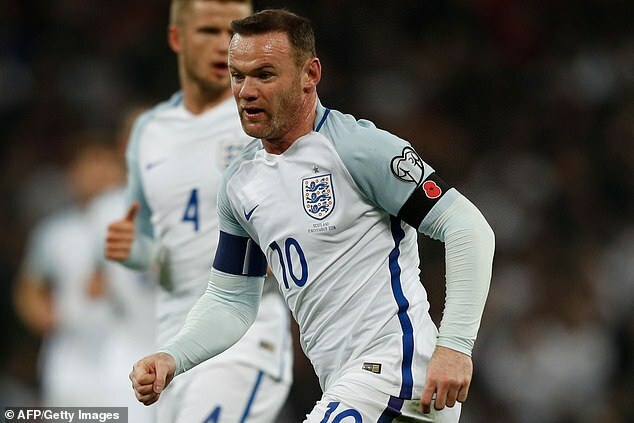 Sportsmail understands initial plans to make Rooney a more central figure in the game have been aborted by the FA amid concerns it could cause unrest in the England dressing room. It comes as Spain unveiled plans for their retired midfielder David Silva, of Manchester City, to be given a farewell send-off. He will take the kick-off before their match with Bosnia in Las Palmas on Sunday week, in his suit, before departing the field. There are many who will feel that would have been a fitting end for Rooney too, rather than the furore that surrounds his recall. Instead, Rooney, who will win his 120th cap against the USA, has been mired in controversy. And FA officials have been in a state of panic since news leaked of their intention to give England’s record goalscorer a farewell game more than a year after he retired from international football. 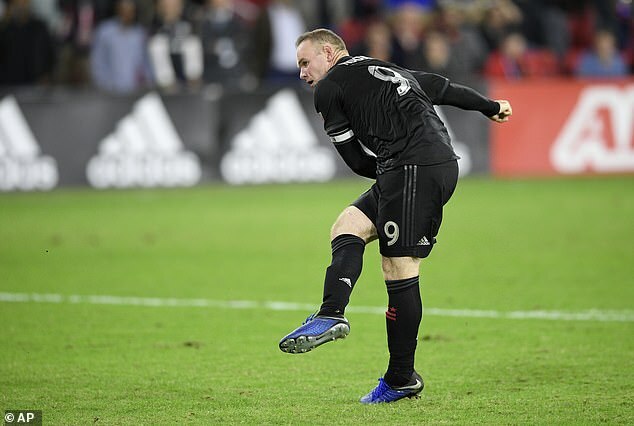 On Tuesday they moved swiftly to reject reports that Rooney could be given the No 10 jersey he wore during his tenure as England captain, and there was also a rebuttal of claims that the 33-year-old, now playing for DC United in MLS, is expected to start the game and skipper Gareth Southgate’s side. 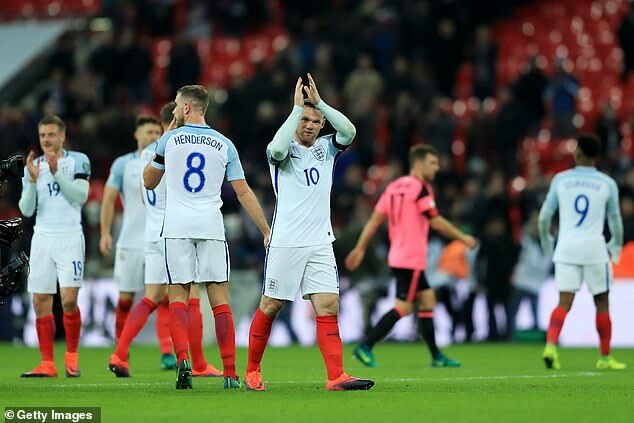 There certainly seemed to be some confusion around that, perhaps because of the way the communications document on Rooney’s one-game England comeback had been interpreted by his camp. 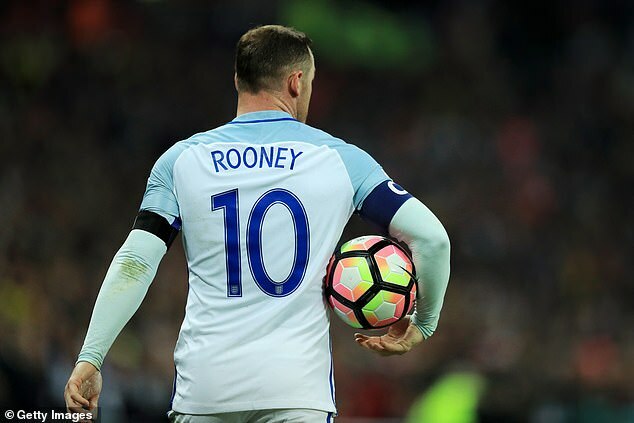 They seemed to be under the distinct impression that he would start, and be given the armband, with the FA’s own communication on social media — essentially lots of pictures of Rooney in his No 10 shirt or the No 10 shirt itself — reinforcing the view that he would receive full red-carpet treatment. Even from within the FA there appeared to be a suggestion that Southgate may well give him the No 10 shirt now being worn most frequently by the star of the stunning win against Spain in Seville last month, Raheem Sterling. But by Tuesday insiders were insisting that the No 10 shirt, the captaincy and the idea of starting had not even reached a point of serious discussion, having been dismissed the moment it was suggested (presumably by the Rooney camp). 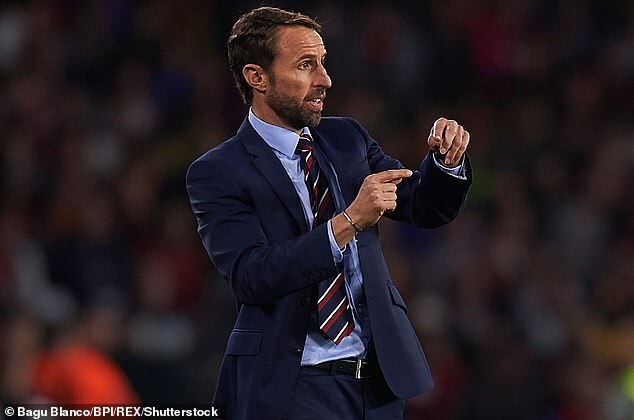 Sportsmail understands the FA did become the aware that taking the No 10 off Sterling could well cause a problem when some of Southgate’s players are a little puzzled by the decision to select Rooney when he was essentially axed by the England manager two years ago. It was only in August, after all, that Southgate said it had become too easy to get into the squad, with the clear message that he intended to make it more difficult. That said, Kyle Walker did not object when asked on Tuesday. By Tuesday night the whole situation had descended into farce, leaving Southgate with the task of providing some clarity when he announces his squad at Wembley on Wednesday. One question he will face is what persuaded him to agree to an idea that appears to have originally come from Rooney’s agent, Paul Stretford, given how divisive an issue it has become. On Tuesday FA officials were even forced to clarify why Rooney’s foundation, which has been chosen as the official charity for the game, is not receiving the £3million a non-profit making organisation like the FA expects to make in ticket sales. An FA spokesperson said: ‘The FA is a not-for-profit organisation which invests millions of pounds back into the grassroots game on an annual basis. The proceeds from the England v USA will go back into the English game. Those initiatives include shirts to be signed by the squad and given to the foundation, an opportunity for fans to donate when buying a match ticket, bucket collections around the stadium, pledge cards and silent auction in hospitality areas, a text to donate facility via BT and a gala dinner at Wembley in 2019.